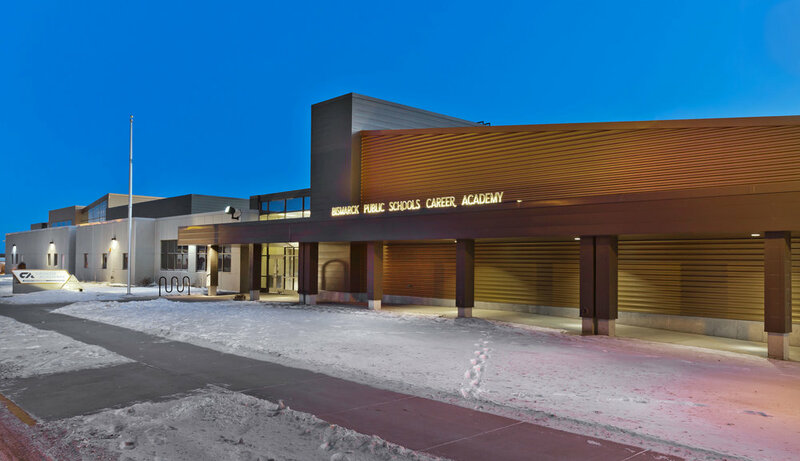 Projects - Bismarck Career Academy — Übl Design Group, P.C. From the very beginning, the Bismarck Career Academy was about collaboration. A partnership between Bismarck Public Schools and Bismarck State College, the Career Academy is the first combined secondary/post-secondary education building in the state to be dedicated entirely to career training. The Career Academy provides collaborative, relevant and real-world educational experience for the students of Bismarck, Mandan and Wilton. The campus includes laboratories, classrooms and collaborative spaces to support the wide variety of educational programs. Areas of study include agri-science, applied mechanics, aviation, botany/horticulture, electronics, graphic/digital design, medical career training and pre-engineering. To deliver a high quality design, Übl Design and Bismark Public Schools worked together on an extensive programming phase. This included case study research, interviewing experts in career education and crisscrossing the country from Las Vegas to Cleveland to tour other career training programs and facilities. 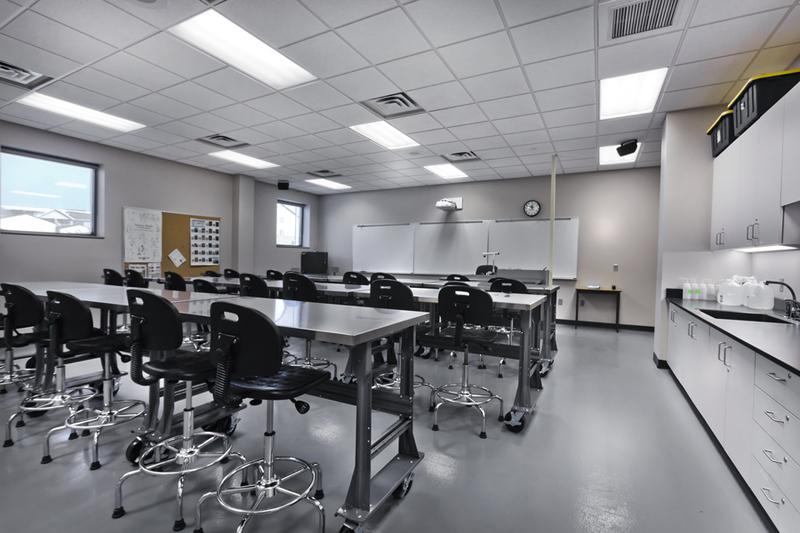 The cooperative, hands-on curriculum of the Career Academy allowed various portions of the building to serve as hands-on classrooms and laboratories. Exposed ceilings and structure allows construction and pre-engineering students to see how a building comes together. Typically the mechanical and electrical rooms are hidden away from the public. 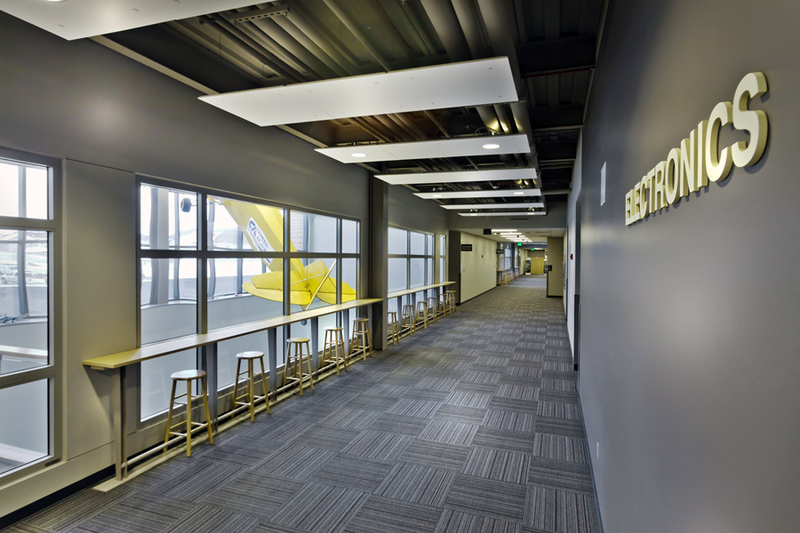 At the Career Academy floor to ceiling windows were provided to allow students to see into these spaces. 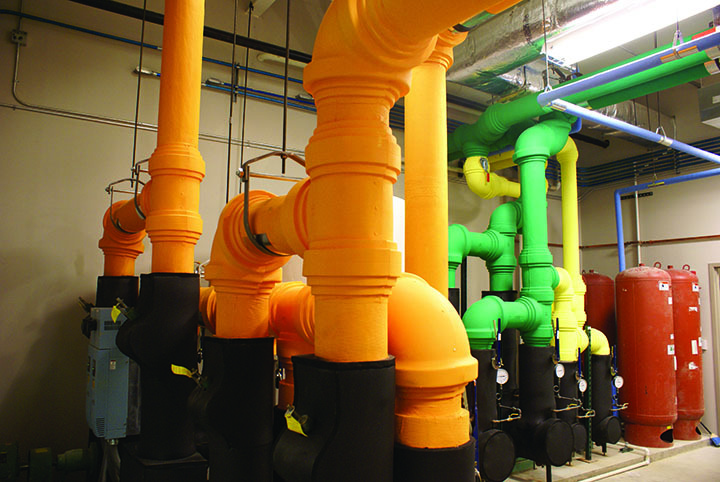 Color coded pipes and conduit, make for easy understanding of how the systems work. Meeting spaces and collaborative classrooms feature ample natural lighting, writing walls for brainstorming and movable wall partitions. The result is a quality learning environment that promotes flexibility and opportunities for students to interact, share ideas and learn.